“WE’RE ENGAGED”!!! was the best news I had to tell my family and friends in February of 2018. The day has finally come and Andrei popped the question that changed our lives forever! Now we had a full wedding to plan ahead of us, and I was eager start. 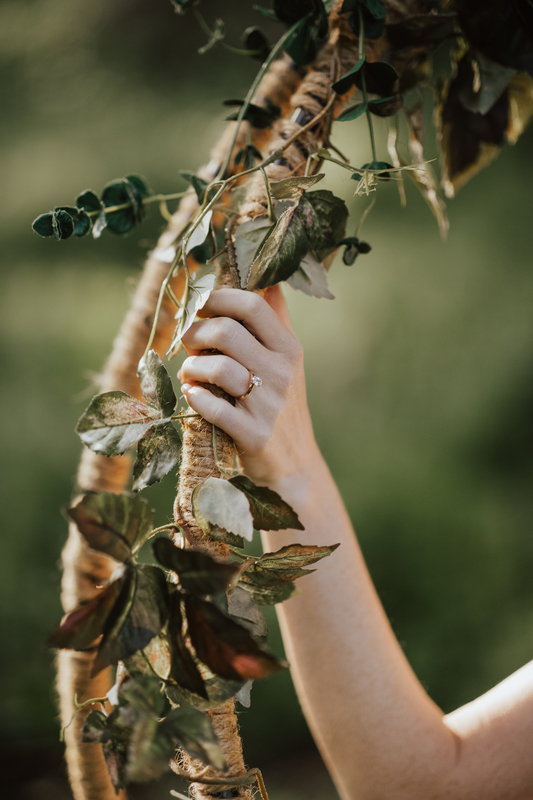 I begun by planning our Romantic Modern Fairytale Engagement Shoot! For this Fairytale Shoot, we hired one of the best Bay Area photographers, Meg’s Marvels Photography. Megan worked closely with us to expand our ideas beyond just one location and one outfit. 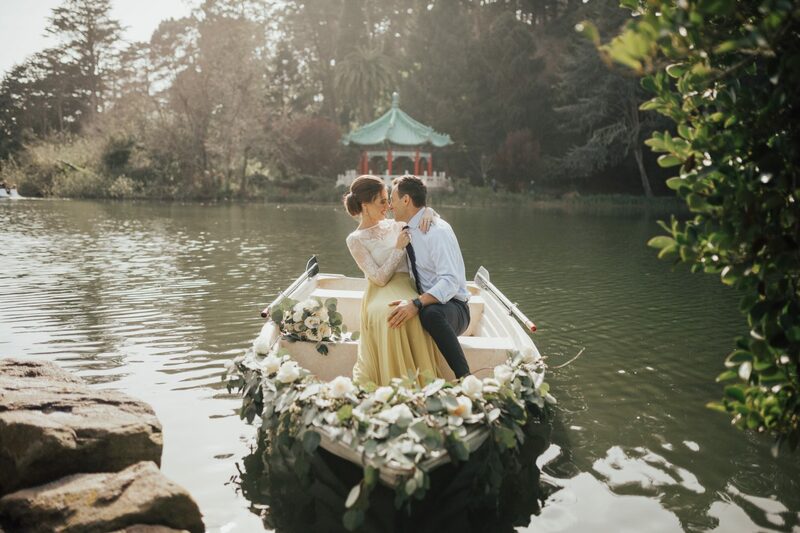 Our favorite idea was renting a boat at Stowlake Boathouse in Golden Gate Park. 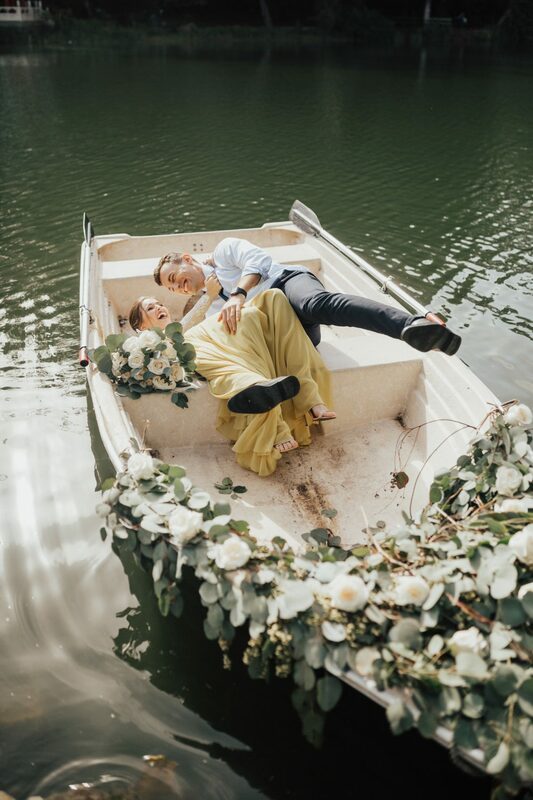 We decorated the boat with eucalyptus and white flowers which worked perfectly with our outfits. I wore the Amelia Full Yellow Maxi Skirt and Amelie Longsleeve Ivory Lace Crop Top which was a beautiful gift from my beloved. 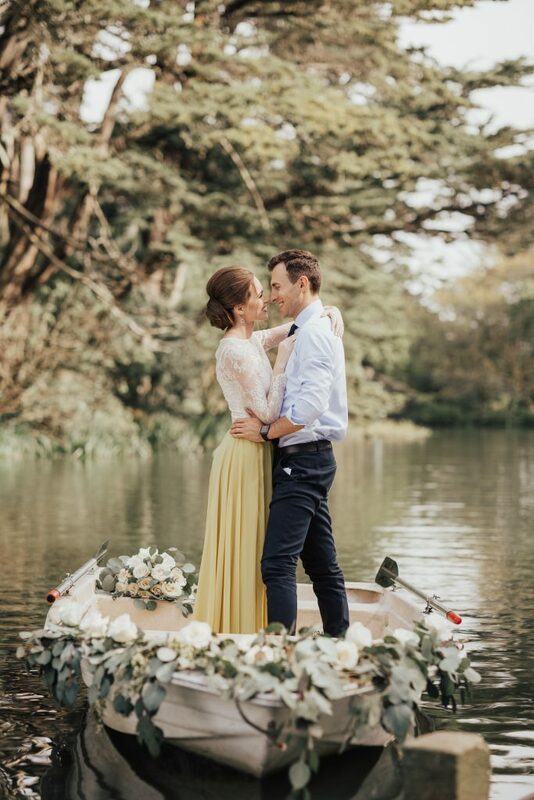 This created the perfect rowboat engagement pictures. 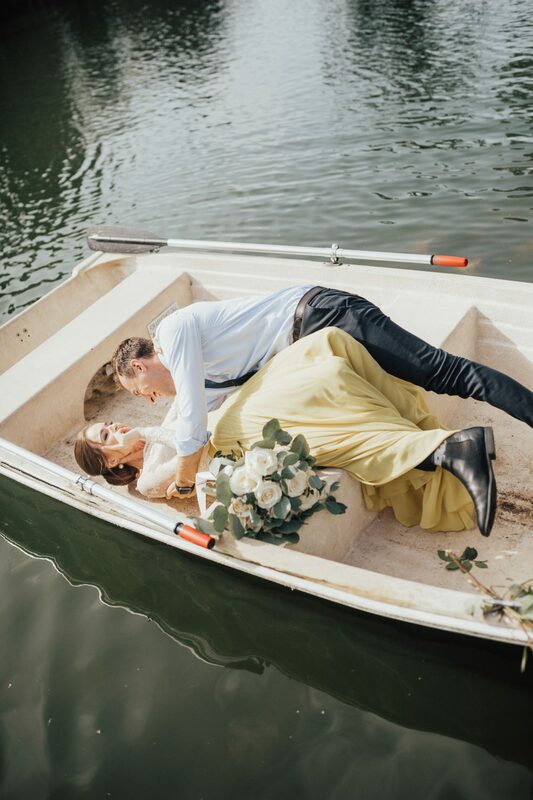 Rowboat engagement photos were not something we initially thought of. Yet, we loved the idea once we were already at the location taking the photos. We had the perfect weather to accompany us as we rowed through the lake. Aside from almost falling into the water a few times, I think we managed to have a really good time. 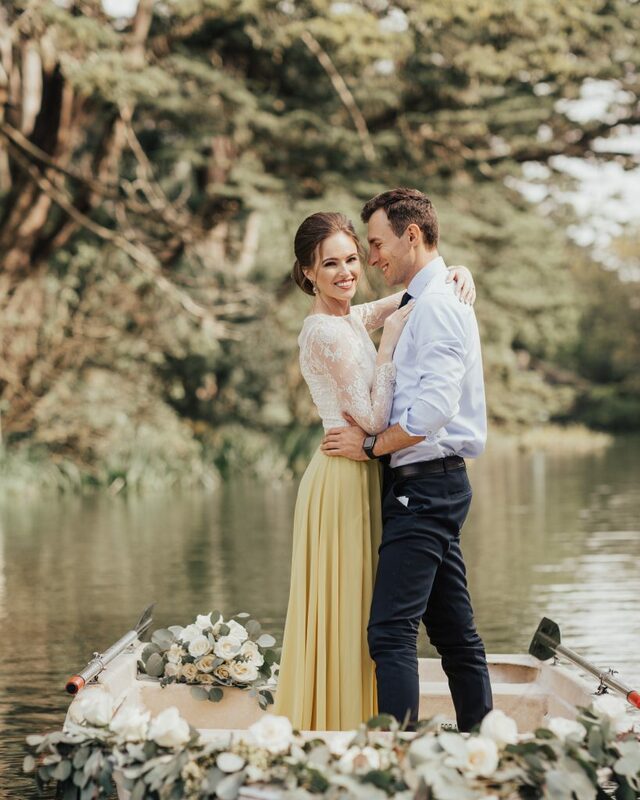 Having to pose on a boat is a risky business, but it was well worth it once we saw the end result of what our photographer was able to capture. 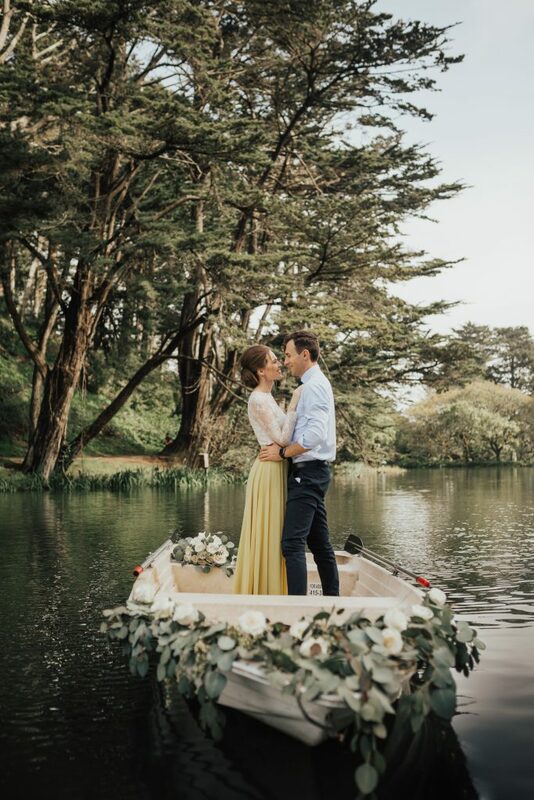 We had two photographers and a stylist run around the lake to snap perfect photos so it made sense that people automatically thought it was a proposal. While we were rowing through the lake we had a lot of people congratulate us and complement our outfits and the way the boat was decorated. In all honesty this would be the perfect outdoor proposal idea for someone who is looking to impress his lady! Everything was just perfect, luscious greenery all around us, the sunny sky above us and waters of a lake beneath us. Pretty much anywhere you point the camera the photos turned out absolutely stunning. 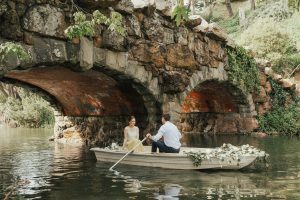 Even our photographers agreed that this was probably the best engagement photoshoot idea ever! 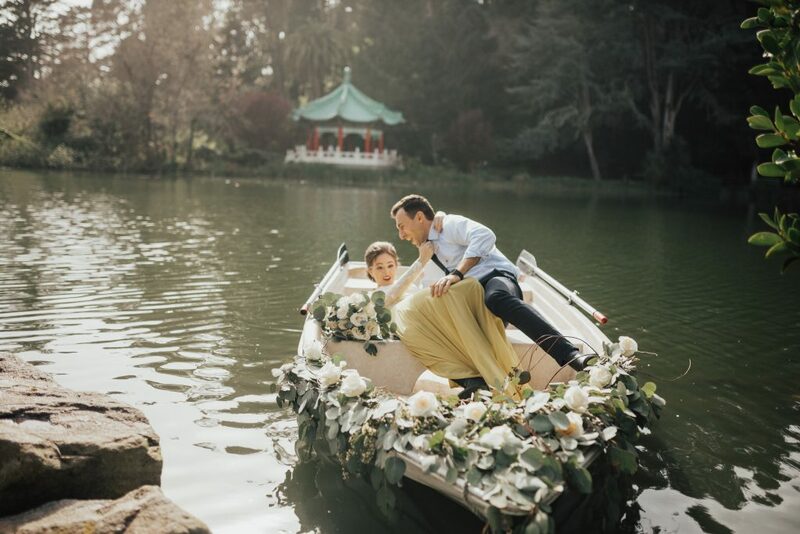 Aside from this being a beautiful romantic engagement photoshoot idea, this would be the perfect outdoor proposal or rowboat proposal idea someone looking to propose in San Francisco. 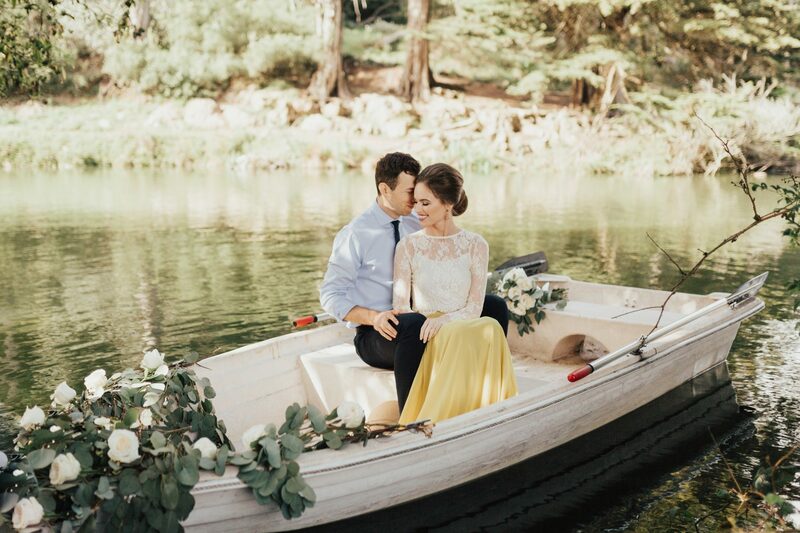 Our second part of the photoshoot was just as much of a fairytale as the romantic rowboat at the Stowlake Boathouse. 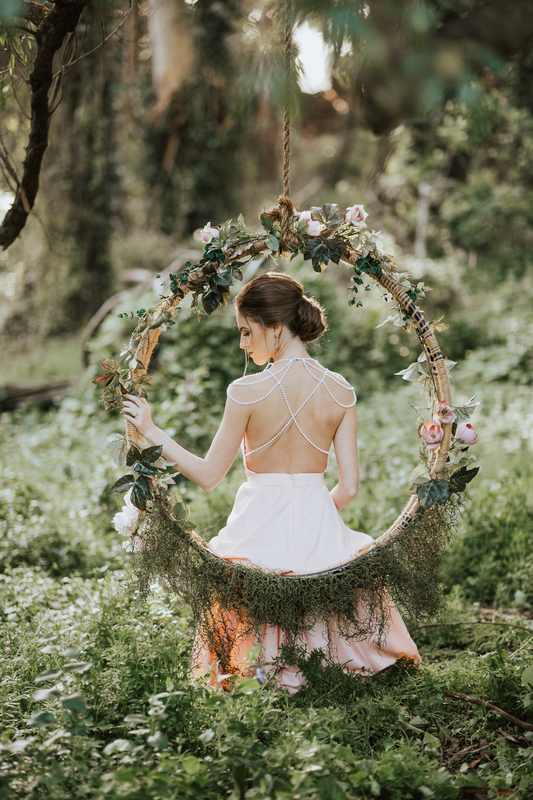 Prior to meeting Andrei, I came across a dress on Pinterest that sparked the perfect idea for the second part of the shoot. We had my seamstress, @elypadilla, sow the most perfect dress that complimented my body type and added the romantic touch to the shoot. 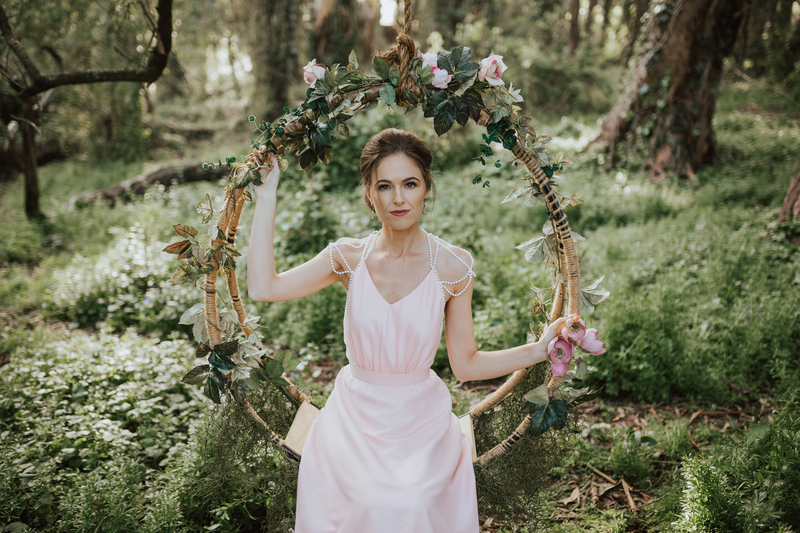 We also rented a Small Metal Swing to add the fairytale look to the overall big picture. Metal swig had lots of pretty details that coordinated with our looks. 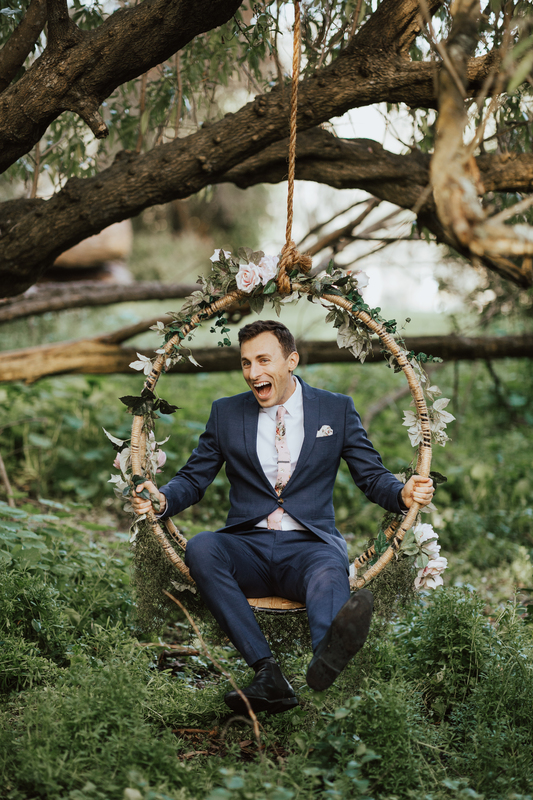 The flowers and the rope that was tied around the swing added a little bit of rustic feel to our classy attire. 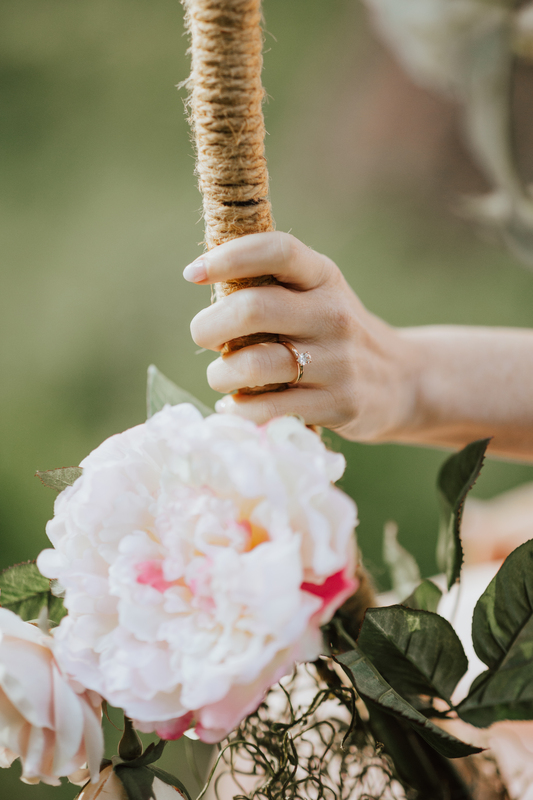 Close up photos of the ring were gorgeous because of how the swing was complimenting the overall look. The location was an interesting find that Andrei spotted while I was changing. 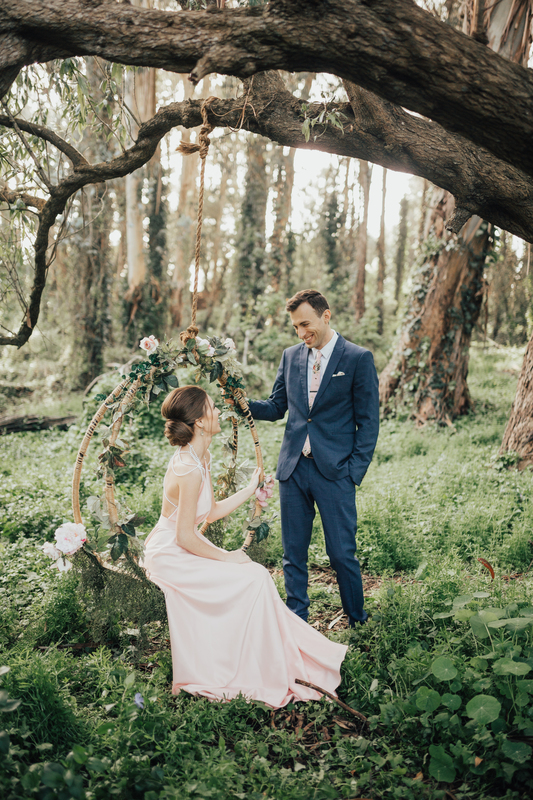 We literally just walked into the woods of Golden Gate Park and spotted the perfect tree where we hung the metal swing from. Andrei had to test it first to make sure it doesn’t fall. 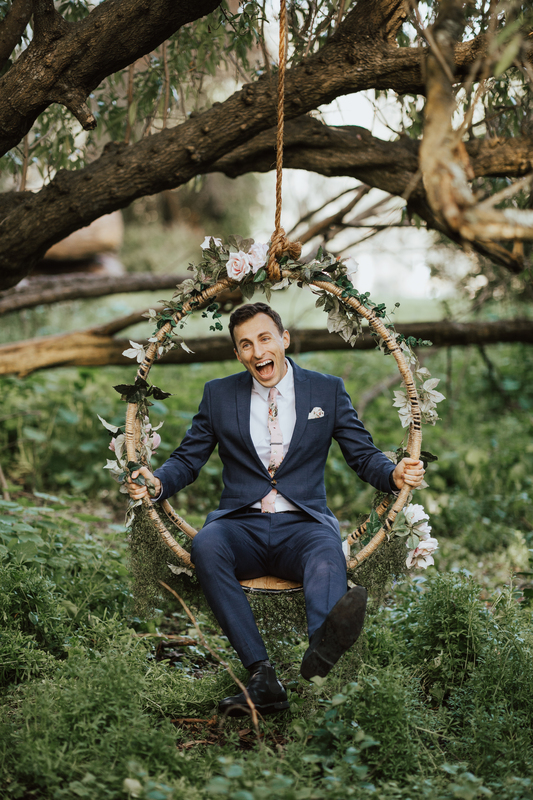 Once the swing was secure, we were able to capture the most perfect romantic fairytale photos. It was so amazing to see our dreams and ideas coming to life. As I look at the pictures I have to admit that what we captured was far better from what we were imagining while planning. It was incredible to be able to use the resources in the Sacramento area in order to make this engagement photoshoot happen. 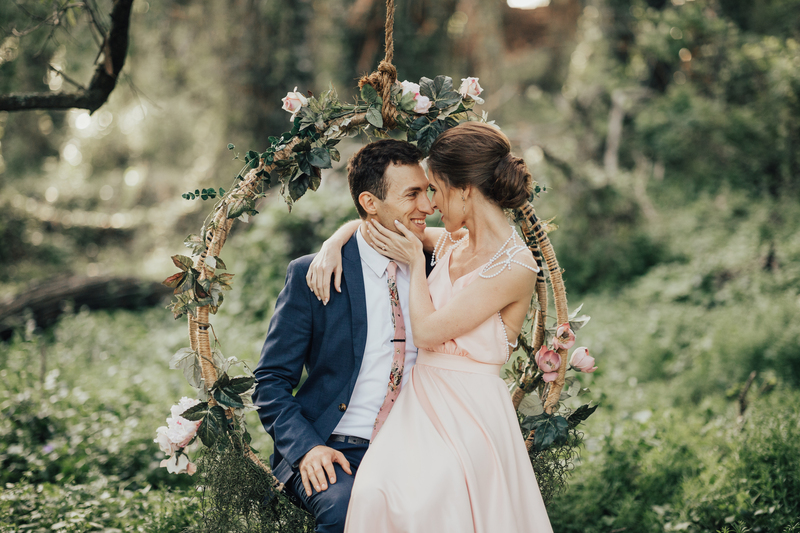 We couldn’t have done it without the help of our photographer, seamstress and rental vendors. This was a huge team effort to make one girl’s dream a reality. From the rowboat at the lake to the swing in the woods this was truly a fairytale engagement shoot. The best part is we had a ton of fun creating all of this with my wonderful fiancé and my super talented team! P.S. Huge thanks to Love Of Parties and Meg’s Marvels Photography for helping bring our vision of Romantic Modern Fairytale Engagement Shoot to life!